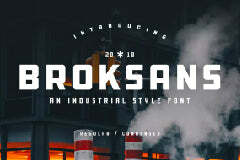 Take a look at this breathtaking free bowarrow2 font. This font file was found from the amazing source called Font Space. This is absolutely cool font so you can easily make world-class designs.